DO ALL THE THINGS: Three Days in Detroit for Some #FordNAIAS Fun! Proud to drive an Edge! But Ford Canada’s been really good to me these past couple of years. From inviting me to their second annual Blue Party to sending a care package when I bought my 2011 Ford Edge last summer, they’ve been a solid team to work with. This year, they kicked it up a notch by invited me as one of a dozen Canadian bloggers as their guest at Putting You In The Driver’s Seat: the NAIAS Blogger Experience, which revolved around the 2014 North American International Auto Show in Detroit, Michigan. Day 1: From YYZ to DTW, The Moth, The Westin and a Whole Lotta Trouble, Too! Though it was hard to imagine being away from Sarah and DoomzToo for even a day, my blog’s a big part of our lives, and #FordNAIAS presented a unique opportunity to add more depth to the blog. The trip started with some complications, between a check-in that wouldn’t go through on the Delta mobile app; luggage trapped in the garage, the door frozen shut from all the ice Toronto’s faced lately; and a checked baggage charge for the duffel bag I was left using, I arrived at my gate several hours early to start my journey (despite a “random” full body search apparently requested by my carrier). I’m not much of one for breakfast, so the first stop was the Nobel Burger Bar, an overpriced bistro-style joint just down from Gate A14 in Terminal 3, where I’d be boarding. My sandwich du jour was the One Burger — a charbroiled patty topped with grilled peameal bacon, aged cheddar, tomato and onion mayo — which was alright, but definitely not one of the best burgers I’ve had in town. While the service was friendly (perhaps a little too friendly, if you ask me), my suggestion is to eat well before you go to the airport! The uneventful flight there aside (I’d easily spend more time in airports than I actually would in the air), it was amazing that Ford set us up at the Westin Detroit Metropolitan Airport, a pretty swanky hotel attached to its namesake airport! Though many of the Canadian contingent spent less than 8 hours total sleeping in their ridiculously comfortable queen-sized beds, we appreciated that it wasn’t had to reach, and that our hosts were quite generous in ensuring we had a great time. The first day was light, where we caught the tail-end of lunch and help opening ceremonies in the Westin’s Lindbergh Ballroom, eating (or in my case, picking at) some of their banquet fare and listening to stories told by The Moth. The room’s reception to the stories was divided, but as keen on storytelling as I am, I especially appreciated Adam Wade and Shannon Cason and Adam Wade’s vulnerable stories of the dangers of gambling and the pain of not fitting in. Amy Brill made the crowd laugh, and Erin Zindle was killer on the fiddle. We wrapped the night up with desserts, drinks and some random American youths who would soon regret sitting at a table of proud, smart and quick-witted Canadians… but I’m pretty sure that’s Amanda’s story to tell. A few hours’ sleep and some episodes of The Shield later, and it was time to really get into this #FordNAIAS event! Day 2: The 2014 North American International Auto Show, or — Bright Lights, Big City, Blasphemous Budget! This isn’t your standard post about the 2014 North American International Auto Show . I am not a car enthusiast. I didn’t spend my time salivating over specs nor eagerly anticipating announcements of the newest automotive innovations to hit the market. Despite growing up in the suburbs west of Toronto, where kids get their licences as soon as humanly possible to escape the nighttime boredom that besieges their cities, I felt at home on the public transit system, preferring to take the scenic route with a good book or some new tunes — my thrill was in the journey, not the destination. If I wasn’t becoming a father, I might have never bought a car, though I’ll admit it comes in handy when the subway won’t go where I need to go. But even though curb weight, RPMs and horsepower don’t make me drool, I still found things to admire about NAIAS 2014 and Ford’s approach to make sure 120 media reps knew at least a little more about the world behind the blue oval than they did when they landed in Detroit. Ford’s treat to its #FordNAIAS media was an area especially for then called Behind the Blue Oval — a place to rest weary feet, recharge the barrage of devices we carried with us, and learn tons about what it takes to make Ford as strong a brand as it is. EXPERIENCE the AGE of experience. FEEL how you should NEVER feel behind the wheel. See how PREGNANCY suits you. Ruining picnics and taking names. Leafcutter Ant (Atta Colombica Holica-Molica!) A powerlifter among insects, the Leafcutter ant can lift up to 50 times its body weight, quietly and efficiently. Likewise, EcoBoost engine is aluminum and has a unique internal timing belt, bathed in the engine oil for efficiency and reduced noise. Powerful and plentiful. Ford 1.0 Ecoboost Engine (Vroomus Ecoboostus) The antithesis of Ford’s 1.0-liter EcoBoost engine with its super-stiff block, isolated fuel injectors and oil-immersed timing belts it’s one of Ford’s quietest engines ever. Natural enemy of corkboard. Thumbtack (Thumbtaklus Ludicrous) Some can hold up to three tons. Delivers unprecedented power when holding things up. EcoBoost delivers unprecedented power while holding it down. Holds enough information for a whole IT department. Micro Chip (Siliconis Maximus) Stores data like Ford’s EcoBoost stores fuel… economically In fact, EcoBoost can improve fuel economy by 20%. One bite and you’ll want to swaller a fire extinguisher. Bhut Jolokia (Hottes Capsicum Chinense) Bhut Jolokia’s heat is powerful. Rated over a million on the Scoville scale of chili pepper hotness, it will scare the heck out of your tastebuds. Ford’s EcoBoost engine, despite just 1.0-liters, produces a whopping 148 lbs. of torque. Talk about supernatural. When it comes to fuel efficiency, we’ve got our interior ducts in a row. Lighter interior ducts means better fuel-efficiency in our vehicles. We were looking for ways to save fuel and look what sprung up. Using advanced materials in our vehicle springs reduces weight, improving fuel economy. Carbon Fiber Wheels Lightweight wheels made of magnesium and carbon fiber will improve your vehicle’s improvement and handling. All while giving you unparalleled strength and durability. Advanced Plastic Composite In an effort to increase fuel economy, we’re taking an aerodynamic approach. There’s a perfectly good explanation for making aerodynamic improvements of up to 5% on each new model: We want to make the earth better. With more than 80% of our research and resources being used for vehicles dedicated to increasing fuel economy, you can see how the big blue oval loves the big blue marble. Advanced Plastic Composite A strong argument for going lighter. – Advanced plastic composite material was designed for durability and strength. Even in the most extreme conditions. – Our pledge to increase recycled and biomaterial in each new model by 10% will create stronger, yet lighter, vehicles and could help reduce harmful emissions. Moonroof / Sunroof We’re creating with materials that help with fuel economy and we’re starting at the top. We can improve fuel economy by fixing all the little things. Like offering magnesium versions of our moonroofs, sunroofs and hard tops. You can do just about anything with the latest iteration of Ford’s SYNC SYNCLink. Even order Domino’s. I’M NOT EVEN KIDDING. Only I could go to NAIAS and want a Wacom Cintiq more than any car I saw there. Yeesh. If cars are your thing, NAIAS is what you want to get to. The largest automotive show of its kind in North America, it refuses to hold back in its efforts to impress, astound and bedazzle its attendees with the newest, best and flashiest cars that automotive industry has to offer. Not everyone showed up (shout-out Mitsubishi), but you could see through the vehicles, unique booth displays (complete with well-adorned men, sleekly-dressed women and rammed open bars) and over-the-top presentations that every company wanted you to remember them more than all the other companies. If any of you mistakenly believe that I somehow caught a break from parenting through this trip, let me clarify — Ford means business. If they’re flying you out to Motor City to learn about all the cool things they’ve planned for the coming year and show you how the magic happens — your day’s gonna be packed. Us bloggers started with Ford’s keynote address, a visually stunning mélange of cars driving on- and off-stage to match their relevant parts in the presentation, and the ultimate reveal of the 2015 Ford F-150 by driving the trucks through the wall like the Kool-Aid Man. THIS LOOKS LIKE IT CAME STRAIGHT OUT OF TRON LEGACY 😐 !!! I hope you’ve memorized these impossible tips, because this simulator is impossibly hard!!! Surprisingly, I came off of this with a decent time! Lights blowing into vapor that came from the machine. Looked pretty rad in person! Her gaze would immediately go to the biggest camera…. The second day was long but productive, splitting lots of time between activity on the show floor and the packed itinerary at Behind the Blue Oval. I made enough trips to the candy conveyor belt that the workers manning it jokingly talked about starting to charge me for it! …at least I think they were joking…. Meeting Scott Waugh, producer of Need for Speed, but more importantly for me, meeting Scott Mescudi, aka KiD CuDi, who stars alongside Aaron Paul. He’s a cool guy, and the fact he was willing to pose for some photos while others interviewed Scott Waugh which was nothing short of amazing! Had an epic time last nite at the Detroit Auto show! Director of Need For Speed Scott Waugh and I showed Ford execs 20mins of film footage. For the home stretch, Ford whisked us away to the Dearborn Inn, a 6-hectare (or 645,834.625 square-foot) hotel built with 1937 with 231 rooms. I don’t know about you, but that’s not quite what comes to mind when I hear “inn”. I think a quaint little bed ‘n’ breakfast in the country — not a behemoth that could swallow my house 645 times over without a problem! Poor cleaning staff 🙁 ! It was from here that we’d head to our pre-selected learning sessions and arguably the most anticipated event of #FordNAIAS — the test drive of Ford’s 2014 models! While my inner artist wanted to hit The Design Process, my inner data nerd and futurist leant toward the sessions on Big Data and the 3D Printing Demo, in hopes of catching glimpses of what the future had in store for us. If you’re serious about data collection and manipulation, like me you probably found Big Data lacking. What I thought would be a deep dive into Ford’s data analytics, possibly with some examples, was a high-level overview of what data is, what kind of data they capture, and how they apply it to decision-making in Ford. I get that you need to make learning sessions as accessible to the masses as possible, but with the study I’ve done on data so far, I felt that attending the Design or Style sessions would’ve been a better choice. For the most part, you should really check John Biehler’s blog post on this tour if you’re interested. A 3D printing enthusiast, he learned and covered things well out of my depth — it’s very impressive to see how two people can look at the same things, gleaning completely different information. I was in a small group of three touring the Beech Daly Technical Center. The massive million-dollar 3D printers on site immediately reminded me of old computers, how they’ve gone from requiring flatbed trailers and massive storage space to fitting in a phone. We’re already starting to see consumer 3D solutions — though their product isn’t as durable as the stuff on the Beech Daly site, it’ll eventually overlap. I’m excited to see that day! The highlight for most #FordNAIAS media had to be the Tuesday Morning test drive! Greeted by a fleet of Escapes, Explorers, Edges, Focuses and F-150s (with a Flex in the mix for good measure), we’d partner up on 12-mile drives to Comerica Park and back to get a feel for what Ford’s 2014 models had to offer! To think that in 6 months I’ve gone from not driving to effortlessly handling 55 MPH down Detroit’s Michigan Avenue boggles my mind. When an F-150 wasn’t available, I quickly partnered with the Brazilian-born Toronto resident Danilo Barba in a blue 2014 Ford Focus, and I was not ready for what the car had to offer!!! Skipping over the sports car years to immediately buy a family-oriented SUV, I’m used to driving bigger vehicles, slower to pick up speed and super-reliable in handling, feeling like you’re in one of the road’s most secure vehicles as you travel. But I felt it as soon as I pressed on the gas outside of Comerica — there was power under its hood! We hit the streets and I was immediately hitting 60 MPH as I existed downtown, the car seamlessly reacting to every twitch, turn and tic my arms would make. It was intense! I drove in strange lands, avoiding apprehension by local authorities as I sped around in a sweet ride. A good way to end this little life interlude! Tired bloggers on the way back to YYZ. I’m not a gearhead, but I can respect the enthusiasm. I saw grown men clamour to simply get the chance to sit in the 2015 Ford F-150, wonder in their eyes as they dreamt of tearing down the Interstate. Though the show itself was clearly still very male-oriented from the audience and many of the visuals, my fellow #FordNAIAS bloggers showed they meant business, with women schooling some of the more ignorant men on specs, ideas and experiences. I was a stranger in a land of people who could tell a chassis from a carburetor and change a time if push came to shove, but even though I might not walk the walk nor talk the talk, I know I made the most from my time in Detroit. So shout-out to The Ford Motor Company of Canada for sending me on this , and everyone I connected with while I was there. Shout-out to some of my fellow Canadians who made #FordNAIAS so fun, like Julia, Christine, Wendy and Kim. But most of all, shout-out to Sarah, who bit the bullet and let me fly out to Detroit with a wife and 2-month old son at home. It was a great opportunity, and I’m grateful I could take it! 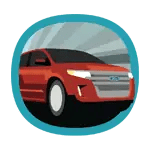 Disclosure: Ford Motor Company paid for my transportation, accommodations and food. I was not compensated for my time. I was not asked to write blog posts or promote NAIAS or the experience on social media — but I did anyway, because it makes for really good material. My opinions posted here, as always, are my own. Gotta love it! loaded blog post…great pix of this crazy cool adventure, casey! Pingback: DO ALL THE THINGS: Three Days in Detroit for Some #FordNAIAS Fun! Ha! Thanks again for bringing me — it was quite the experience 🙂 My hands hurt after putting this post together, but I’m happy with how it turned out, so there’s that. Cheers Casey! It is a pretty detailed post. Love your perspective on the sessions. Will definitely pass on your thoughts on the Big Data session. I appreciate it, man. I must say that the staff were very eager and willing to answer questions, but I guess they were avoiding going into too much detail because of time constraints. I know it’s already an action-packed weekend, but perhaps some smaller focus groups/breakout sessions one-on-one with subject matter experts would have helped. Wow. Took me a while to get through this. 😀 Ebook? Looks like you had a wonderful time and got to enjoy a different format than those of us that got to experience this last year. I love your pictures and descriptions of the event. Awesome post. ALL THE CARZ! LOL. Sorry, Christine — I meant it when I said this is a massive post! For 52 hours, I was taking notes, snapping photos and trying to absorb as much as possible. We didn’t get to visit the Henry Ford Museum — I hear it’s amazing (not only from you :P) — but I guess I’ll have to hit it up on another trip.